The time between Thanksgiving and New Year’s is historically the most dangerous period of the year in terms of serious drunk driving accidents and drunk driving fatalities. 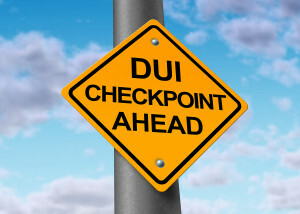 According to a recent news report from the Concord Patch, the town of Concord, Massachusetts has recently received a grant to increase drunk driving patrols this holiday season. Specifically, this campaign is called “Drive Sober or Get Pulled Over” and the Concord Police Department will be part of an effort with 201 other law enforcement agencies trying to significantly reduce the number of drunk driving accidents this holiday season. One of the reasons the police in Concord are interested in this is because in Massachusetts alone, there were more than 130 deaths as result of drunk driving accidents. While even a single accident is one too many, there is no reason that so many people are killed and so many families must suffer the ultimate tragedy due to others’ negligence. It should not be overlooked that, while we often use the term drunk driving accident, there is nothing accidental about someone drinking to the point of intoxication and then getting behind of the wheel of a car that weights thousands of pounds. In the Commonwealth of Massachusetts, in order to prove a negligence case, your drunk driving accident attorney must establish that the defendant owed a duty of due care to the plaintiff and that the driver breached his or her duty due care. As to the first issue, everyone who drives a car in the Commonwealth of Massachusetts has a legal duty imposed by statute to drive in a reasonable and prudent manner as to prevent foreseeable injury to foreseeable persons and property. As to the second element of a drunk driving negligence case, plaintiff must prove a breach of the statutory duty of care. If a defendant in a civil case is charged with a crime for the same conduct, and the defendant is convicted through a plea or a finding of the court, this can be used as evidence in the civil negligence case. With respect to the anti-drunk driving campaign in Concord, Massachusetts, authorities note that the average cost of a drunk driving arrest is around $10,000. This includes posting bail, paying court costs, fines, a separate fine the RMV will impose, and then there is a good chance the suspect will be spending part of the holidays behind bars in a holding cell. As the chief of police stated, the cost of a cab ride home is nothing compared to the cost of defending a DUI, and he was not even talking about a DUI that results in a car accident with serious injury or death. In those cases, the prosecutors will typically file motor vehicle homicide charges or assault with a dangerous weapon, which is the car in this case. These days, with the convenience of ride sharing apps and even free rides being offered on New Year’s Eve through public transportation in various localities, there is no excuse for getting behind the wheel of a car while drunk.